A new sports facility for shared use by a school and community clubs has been built in Guildford, UK. The idea for an all-weather training pitch arose from discussions between the school and a parent support group and the project was led and funded by volunteers. Our vision was to apply for “2012 Olympic Inspired Facility” funding from Sport England to build a floodlit 3G pitch. Initial discussions with potential sports club partners, the County Sports Partnership and other stake-holders started early in 2011. Throughout the excitement of Olympic Year, the project plodded through planning permissions, neighbour consultations, an exacting application to Sport England, appointment of a consultant and build tenders. The pitch was built over the 2013 summer school holidays and was completed in time for the start of the Autumn term. The total build cost was £250,000 of which £122,500 was Sport England Inspired Facility funding and the remainder, the match funding required by Sport England, was raised by parents of students at the school. These parents organised a plethora of events including running races, a summer ball, quiz evenings, a promises auction, a car boot sale and craft fairs. 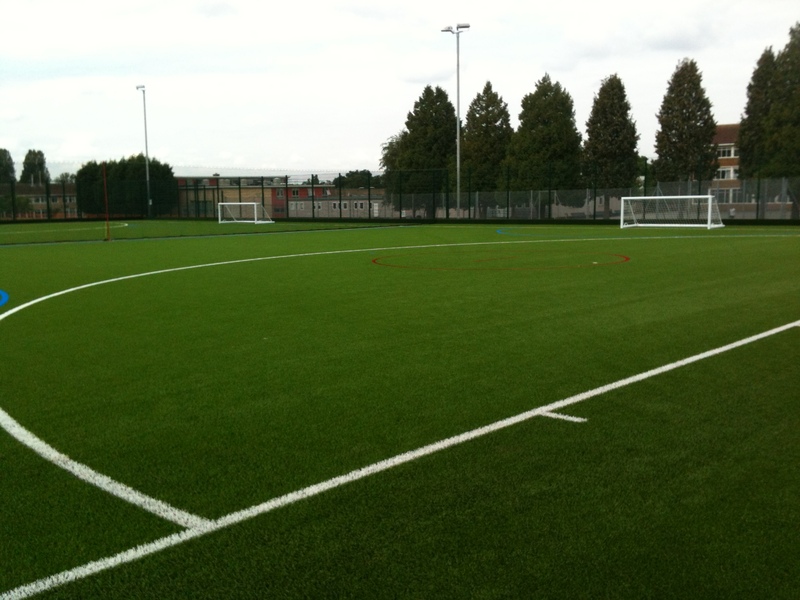 The pitch is managed by the school and is used by the PE department during the day and for extra-curricular clubs after school. It means outdoor sport can now take place when the grass field is waterlogged and can continue all year even through dark winter months. In the evenings and weekends, clubs including hockey, football, rugby and lacrosse hire the facility for training. This brings new sport opportunities to the area and joins up community clubs and school participants for the benefit of both. I would particularly like to credit Julie Dickson. It was our synergy and sense of humour that kept Julie and I working long and late on this project. Julie – your legal brain and tenacious approach were key. Thank you. I would also like to acknowledge and thank the “Pitch In Team” who stepped up and organised fund-raising activities. You all know who you are. We have all left a fantastic sporting legacy that will benefit young people long after our own children have grown up and moved on. This entry was posted in Brilliant examples, Olympics, PTA by Linda Cairns. Bookmark the permalink.